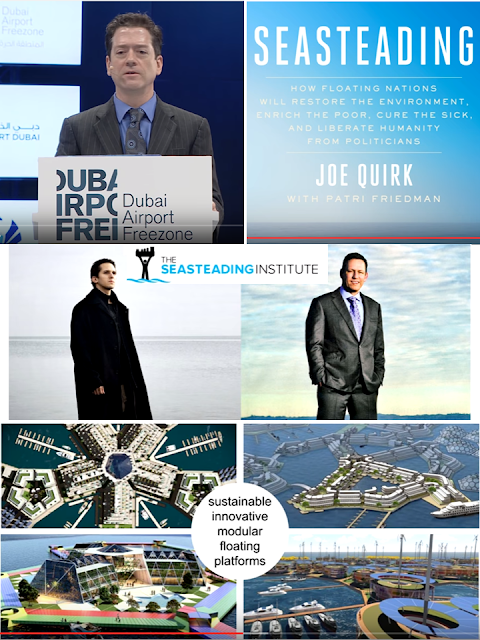 There is a good presentation by Joe Quirk of the Seasteading Institute at Dubai Freeport Zone a few months ago, Pitch: SustainableFloating Free Zones in Dubai. Below are some photos from his presentation showcasing the power of free market, competition and innovation, and relative freedom from intrusive politicians and the state. 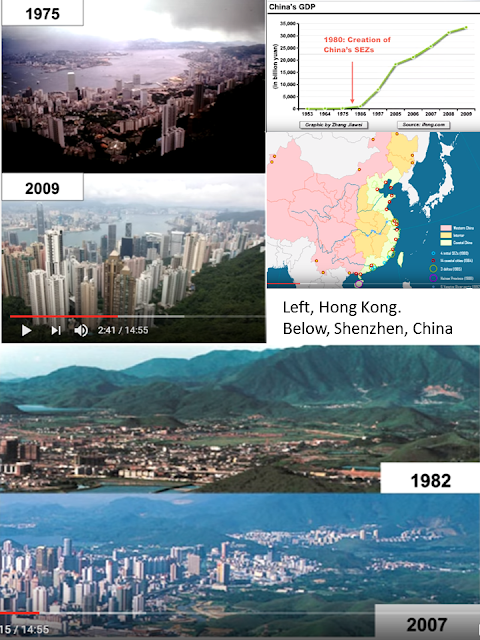 Hong Kong, Shenzhen, and China overall. 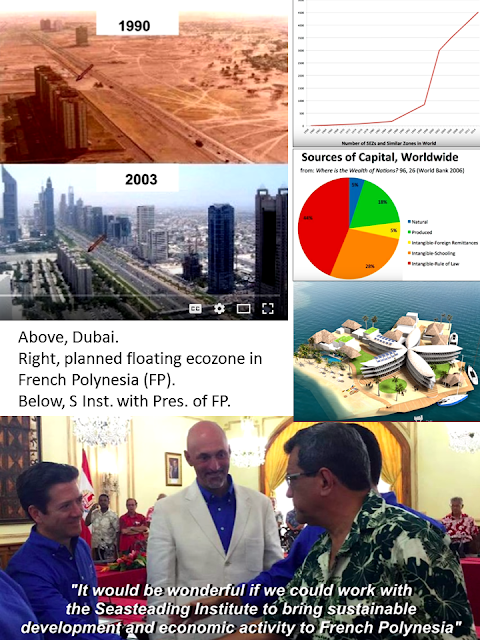 Dubai, French Polynesia, global ecozones, and the very important role of the rule of law -- stability and certainty of application of the law to all, absence or minimum arbitrariness. The speaker and his book, the two pioneers of the Institute, and various models of modular, detachable, floating cities and ecozones. Joe said that they can guarantee prosperity to host countries or economies that will allow these floating ecozones in relatively calmer sea near the shores. If their model is a failure, no worries, they can tow away these structures and move to other economies that are willing to host them. I have read about the Institute since about four years ago but it was only in January 2015 when I personally heard and saw the presentation by the Executive Director of the Institute, Randy Hencken, during the 3rd Asia Liberty Forum (ALF) in Kathmandu, Nepal. The 2-days conference was sponsored by the CCS (India), Samriddhi (Nepal), Atlas (USA), and a few others. Randy was very emphatic that the principle behind seasteading and its projects is to create future economies that are founded on the principles of free market, limited government and rule of law. Very lean government whose main function is to lay down very few laws and enforce them without favor and exemptions. Taxes and fees therefore will be few and small. Market competition and innovation will attract residents, business locators, multinational investors and tourists. Very radical yet practical worldview. Instead of reforming existing countries towards smaller government (the success rate here I think is about close to zero), create small and new territories with some political independence from host countries, to evolve later into new countries. I just saw in fb that today is Randy's birthday. Happy birthday man.